Hey everyone! Travis here with some great Tampa Bay entertainment for November. 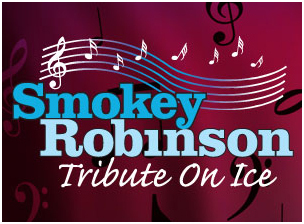 We are talking about Smokey Robinson Tribute on Ice today! Enjoy a special music and skating performance from the legendary American R&B and soul singer/songwriter, record producer, and former record executive at the St. Pete Times Forum on Veteran’s Day, November 11, 2009. For the ones who are looking for the all-time No. 1 purveyor of mainstream romantic soul, Smokey Robinson may well be the man, in the face of some towering competition. Robinson recorded 37 Top-40 hits for Motown between 1960 and 1987. He&apos;s also one of pop&apos;s best and most prolific songwriters and was elected into the Rock and Roll Hall of Fame in 1988 and received the Grammy Lifetime Achievement Award in 1999. Ticket Prices: $30.00, $40.00 and $50.00. VIP Packages are available for $150.00, which includes ringside seat, parking pass, food & beverage, and a tour gift. The show will also be televised nationwide on NBC on November 22 at 4:00p.m. EST. Hope to see you there and of course, keep checking back for other great things to do in Tampa Bay!